We’d love your help. Let us know what’s wrong with this preview of Illustration Now! by Julius Wiedemann. To ask other readers questions about Illustration Now!, please sign up. Be the first to ask a question about Illustration Now! another brilliant find from the shelves of the local library. 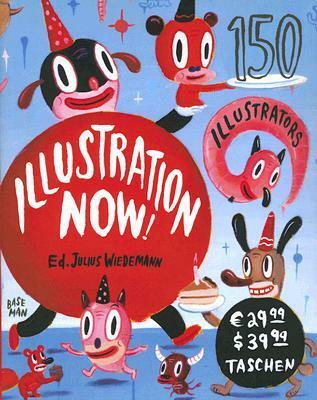 this book showcases the work of 150 illustrators from around the world. even gives you their web addresses and email addresses if you're inclined to commission them for the cover of the new york magazine that you might be the editor of. it shows a huge range of illustration styles and it's very inspirational no matter what brand of creativity you're into i reckon. At the Taschen bi-annual book sale this was the least popular book on sale. There was a huge untouched stack of them, and I was pretty surprised. 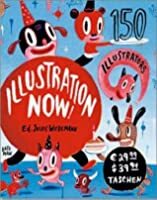 This book's an excellent compilation of the most up and coming commercial artist-animators creating art these days, a few names which will be familiar to you: Charles Burns (Black Hole), Tara McPherson, Owen Smith, and Gary Baseman. Then there are others that are equally deserving of your attention: Thomas Kuhlenbeck, Lilycat, Tanja Szekessy, Istvan Ba At the Taschen bi-annual book sale this was the least popular book on sale. There was a huge untouched stack of them, and I was pretty surprised. We're talking paperback, 544 pages here! Julius Wiedemann was born in Brazil, where he studied design and marketing, and has lived and worked in Japan, Germany, and the UK. An eclectic expert on design based visual culture, Wiedemann has produced books on a range of topics, from robots to record covers. He holds the positions of Executive Editor for Design and Pop Culture at TASCHEN. Wiedemann studied graphic design and marketing and was Julius Wiedemann was born in Brazil, where he studied design and marketing, and has lived and worked in Japan, Germany, and the UK. An eclectic expert on design based visual culture, Wiedemann has produced books on a range of topics, from robots to record covers. He holds the positions of Executive Editor for Design and Pop Culture at TASCHEN. Wiedemann studied graphic design and marketing and was an art editor for newspapers and design publications before joining TASCHEN in 2001. Wiedemann has edited over 40 books in 10 years, he is a regular contributor to magazines, and has been on the jury of several awards all over the world. His publications have sold more than 1.5 million copies worldwide, and his titles are immensely popular. As an editor his work is grounded in an interdisciplinary approach to contemporary design, synthesizing a vast array of topics, including logo design, fashion design, graphic design, web design, and product design. Underpinning many of his books is a desire to understand creativity and explore the nature of reality in a world that increasingly takes place online and is populated by characters and creatures not entirely human but of our creation. The wonders of animation, manga, and computer graphics fascinate and inspire him.